No independent, intelligent or credible person should have anything to do with the International Centre for Sports Security (ICSS) – the Qatari sponsored organization on sports governance and integrity. The ICSS is like the great Yiddish joke: what is the definition of chutzpah? The man who kills his mother and father and then throws himself on the mercy of the court because he is an orphan. To review: the Qataris are the people who ushered in yet another chapter of FIFA integrity scandals by winning the World Cup hosting rights of 2022 despite having low rankings on their bid for security and hosting capacity. Much of the sports world responded to the news that they had won the bid with cynicism and allegations of bribery. Many of these suspicions were confirmed in the recently released (and excellent) book The Ugly Game. A few months after the Qataris won the right to host the World Cup, the man deemed “instrumental” in leading their World Cup bid – Mohammed bin Hammam – was thrown out of FIFA for attempted vote-buying and bribery in a failed bid to become President of FIFA. Then the Qataris began to attract negative media attention with appalling labour practices in the building of their venues. Researchers from organizations like Amnesty International and Human Rights Watch have estimated that over-four-thousand labourers will die to construct their World Cup. These stadiums of blood have attracted dismay and disgust around the world. The Qataris also established the ICSS and staffed it with superannuated policemen and sports bureaucrats. They claim the ICSS is leading the fight for integrity in sport. Now a few friends and colleagues in the sports integrity world are flying to ICSS sponsored conferences. I like my friends, I respect my colleagues, but they are wrong. The first goal is to “dead cat” the debate on sports integrity. Every press article about ICSS and their conferences on sports integrity is one less article about dying labourers in Qatar. 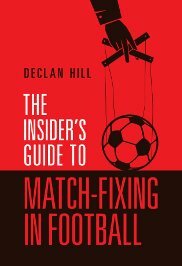 Every press article about ICSS-sponsored reports on match-fixing is one less article from researchers, like me, who believe that there is a clear link between sports governance and match-corruption. The second is “image laundering”: the term used for organizations or people with credibility issues to clean their reputations. The preferred methods are donating money to a children’s hospital or owning a sports team. When friends and colleagues from places like UNESCO, Play the Game, Harvard, Sorbonne, Organization of American States go to the ICSS conferences they are giving the Qataris credibility. They are washing the ICSS reputation. It does not matter what is discussed at the conferences. It does not matter if there are arguments in the sessions. It does not matter if Qatari executives walk-out of speeches. All that matters is that your organization’s name has been linked to the ICSS. So what could ICSS do to build a credible reputation and show that they are worth being linked with? They could publish their investigation into the activities of Mohammed Bin Hammam. In media articles there are claims that ICSS conducted an “independent” investigation of Bin Hammam. 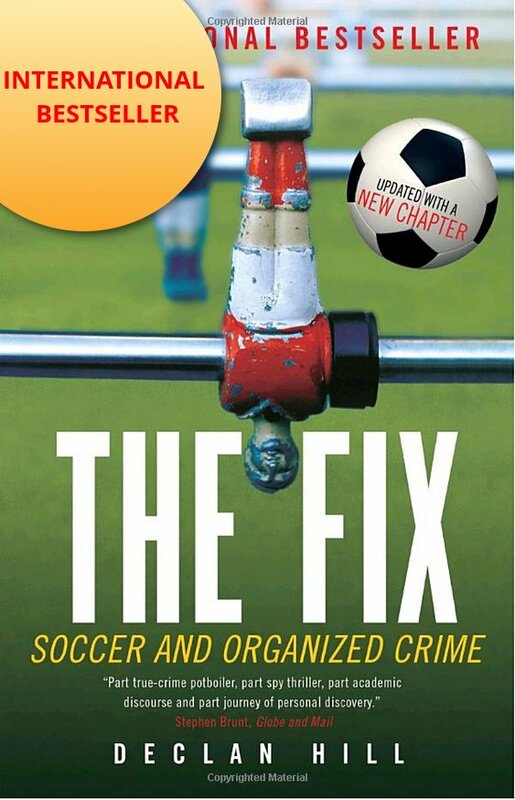 Unlike FIFA (twice) or the Sunday Times journalists who wrote The Ugly Game, ICSS investigators found Bin Hammam innocent. Strangely, the ICSS has never published this report. Show the public what ICSS standards of investigations are like. Show the world why the Qataris have been misjudged. If it is credible, then independent researchers can begin to engage with ICSS. Until they publish this report, no independent, intelligent or credible person should have anything to do with the International Centre for Sports Security.